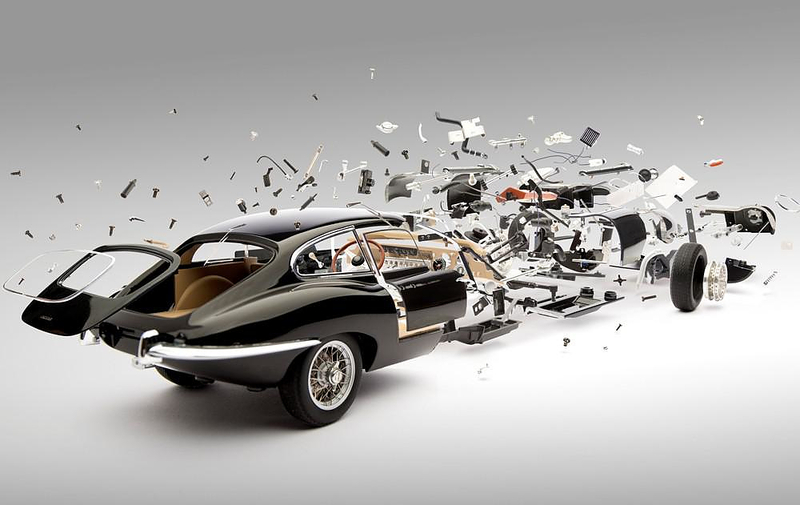 Exploding photographs of classic sports cars by Fabian Oefner. 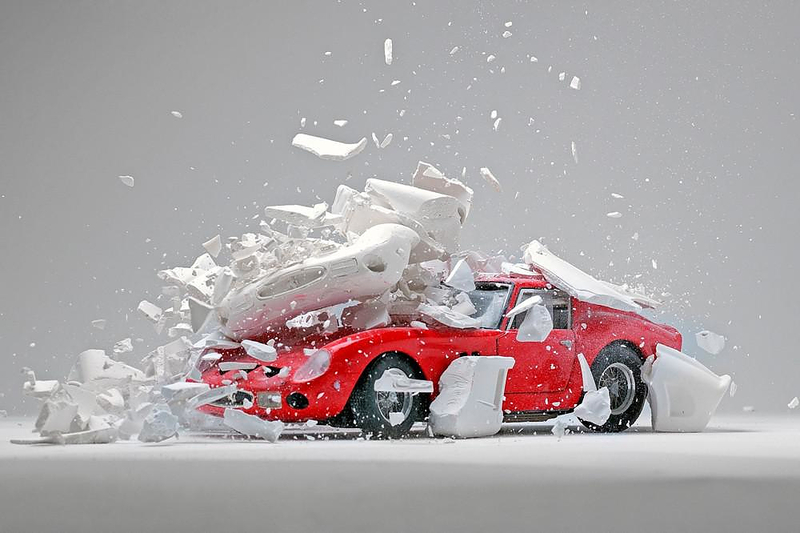 HomeBlogArtAmazing exploding photographs of classic sports cars by Fabian Oefner. 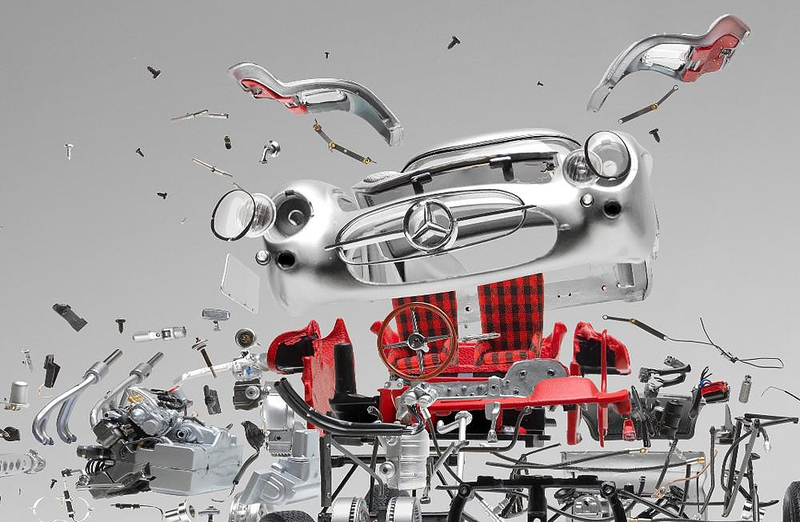 Swiss artist Fabian Oefner presents two intriguing art projects “disintegrating” and “hatch” are carefully and meticulously handcrafted images of classic sports cars, exploded, dissembled and dismantled in space. 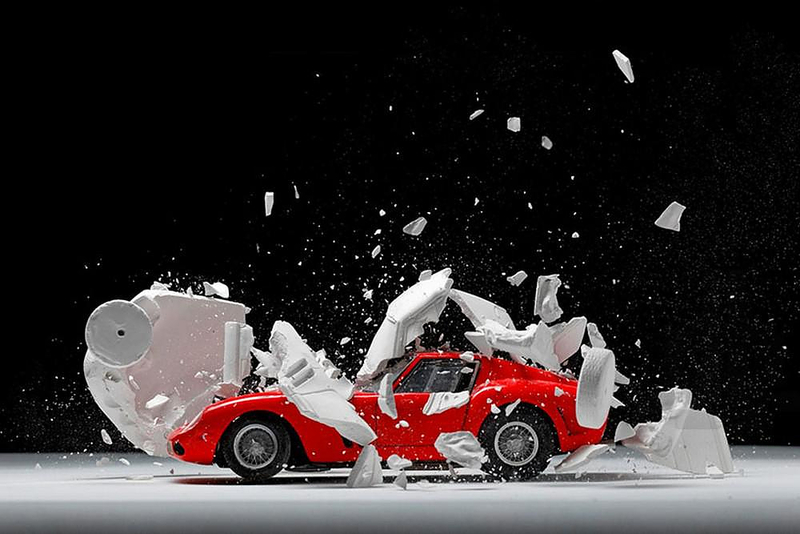 Fabian Oefner is best known for his photographic work, his expertise lies in capturing moment in time typically invisible to the human eye. Yet this time he presents something completely different. 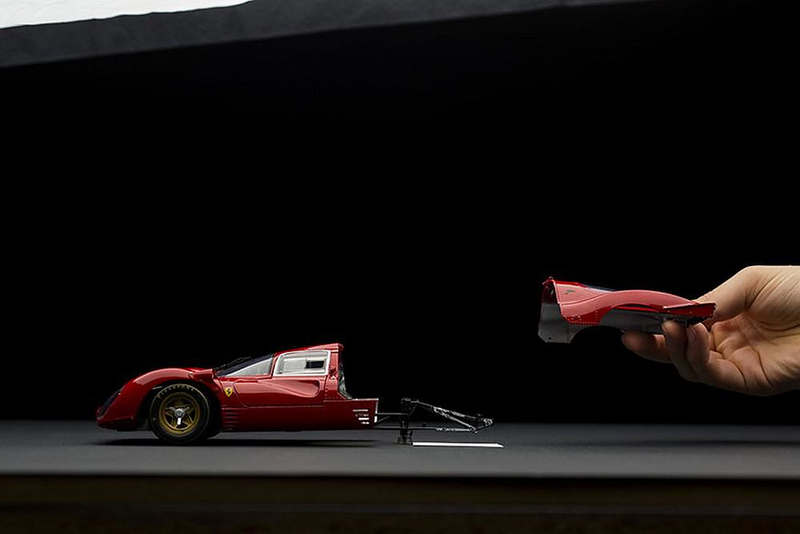 With the aid of model cars, fine needles and pieces of string the artist has brought his signature work to the world of cars. 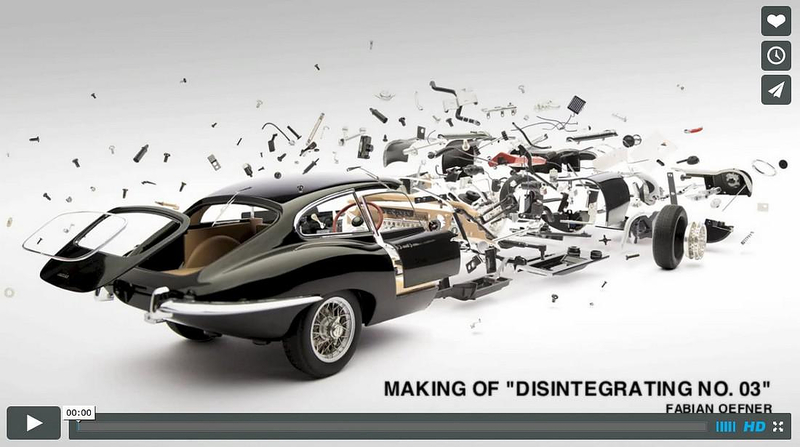 Disintegrating depicts various classic sports car, including a Jaguar E-type, Mercedes-Benz 300SL, and a Ferrari 330 P4, being disintegrated and illustrates the complexity of the pieces that go into making a car. 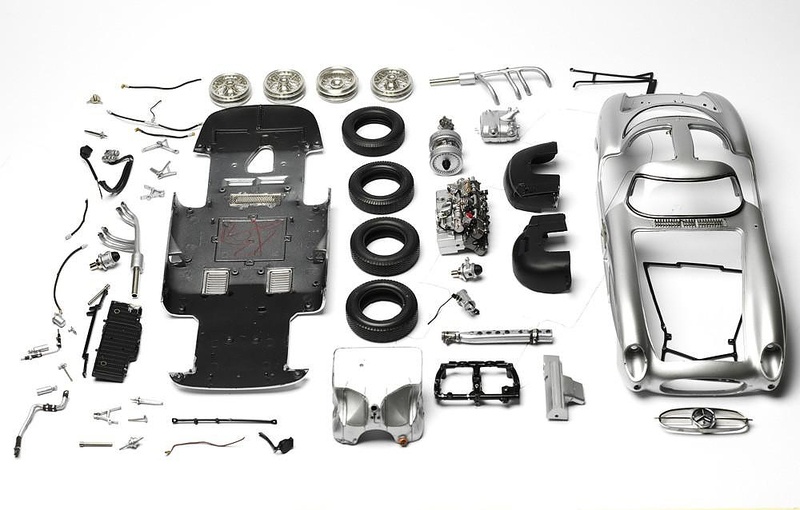 Oefner replicated every inner detail hidden within the hood and bodywork of a car by using miniature models. 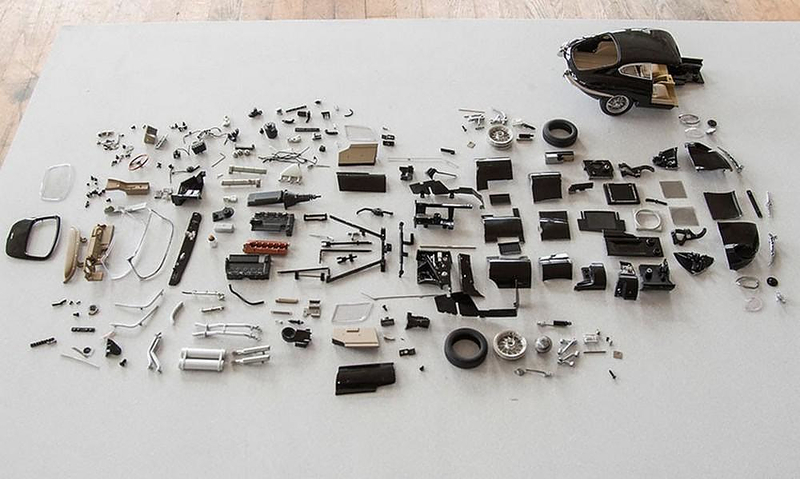 He had to carefully dismantle the highly-detailed miniature models before he could even start the staging process. Then he carefully strung and placed the parts floating in space. He tediously orchestratesd the fake explosions using needles, foam, wiring and a lot of patience. 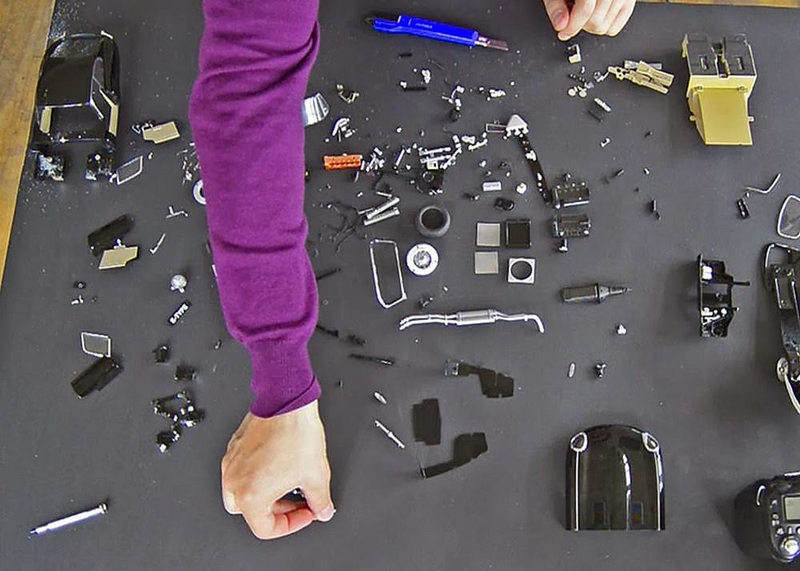 Nailing the lighting and positioning takes Oefner days, but once he has a general idea, he’ll start photographing the parts a single piece at a time. 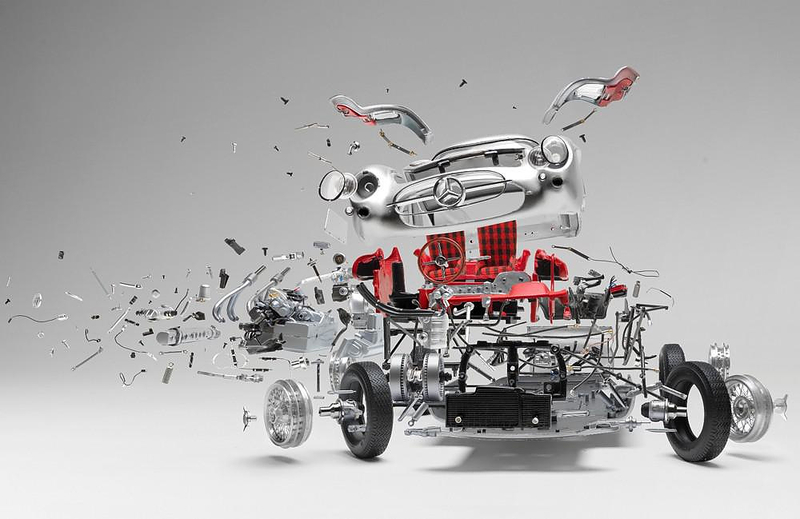 Once the parts are photographed, Oefner reconstructs them in Photoshop layer-by-layer like a puzzle and removes the support aids to make the pieces look like they’re floating in mid-air. 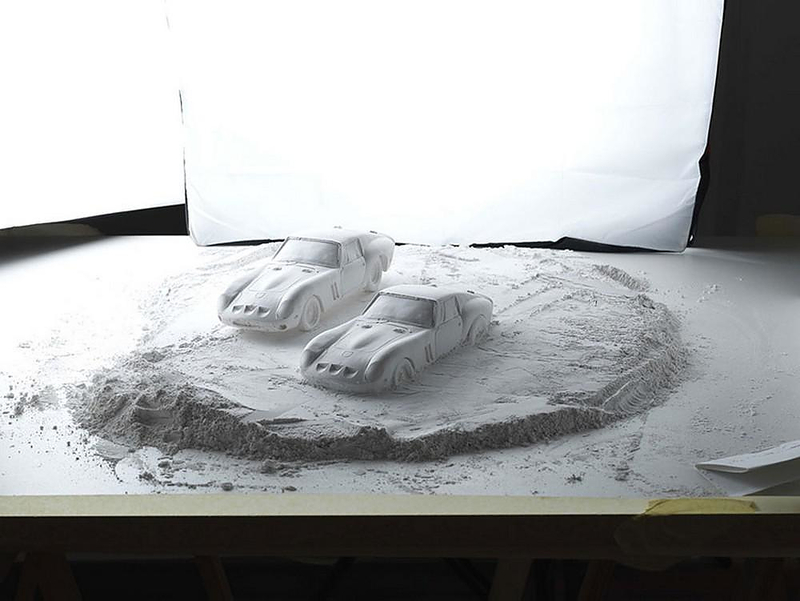 The singular photos which were taken of each part, are now blended together in post-production to create one unified image. 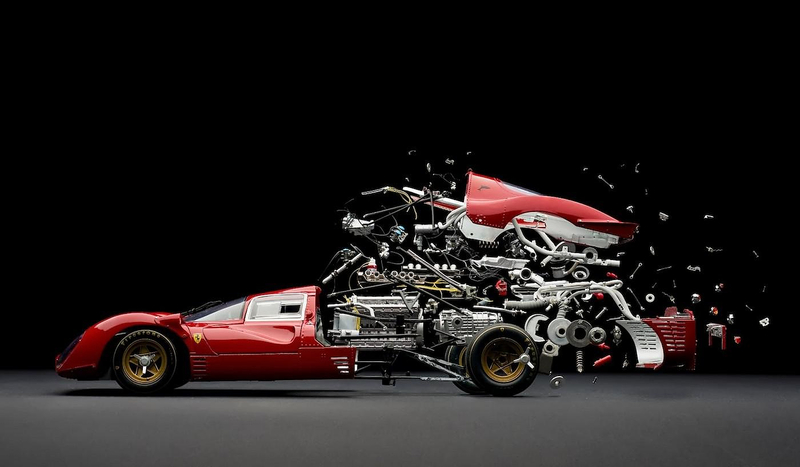 By looking at Fabian Oefner’s work, one might assume he has an unhealthy fascination with exploding things. However, according to the artist it is not so much about the act of making things go boom, as it is about capturing the moment the boom happens. 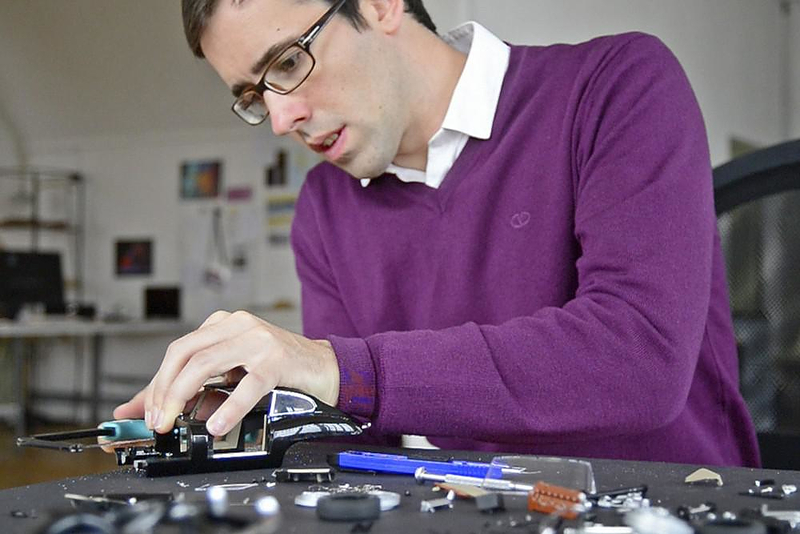 “This is about capturing an artificial moment in time. It is about capturing the exact moment a car explodes, when in fact, there’s never been such a moment. 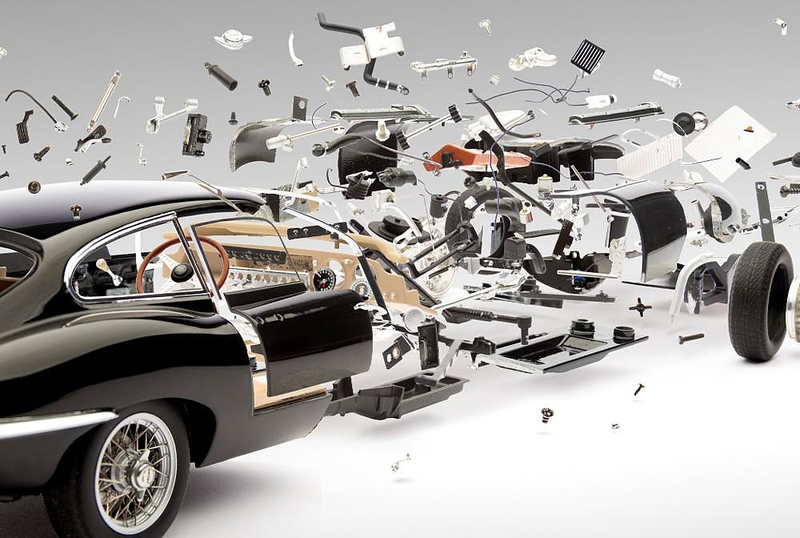 What looks like a car falling apart is in fact a moment in time that has been created artificially by blending hundreds of individual images together. There is a unique pleasure about artificially building a moment…freezing a moment in time is stupefying”, Oefner explains. The Hatch series is a slightly different approach. 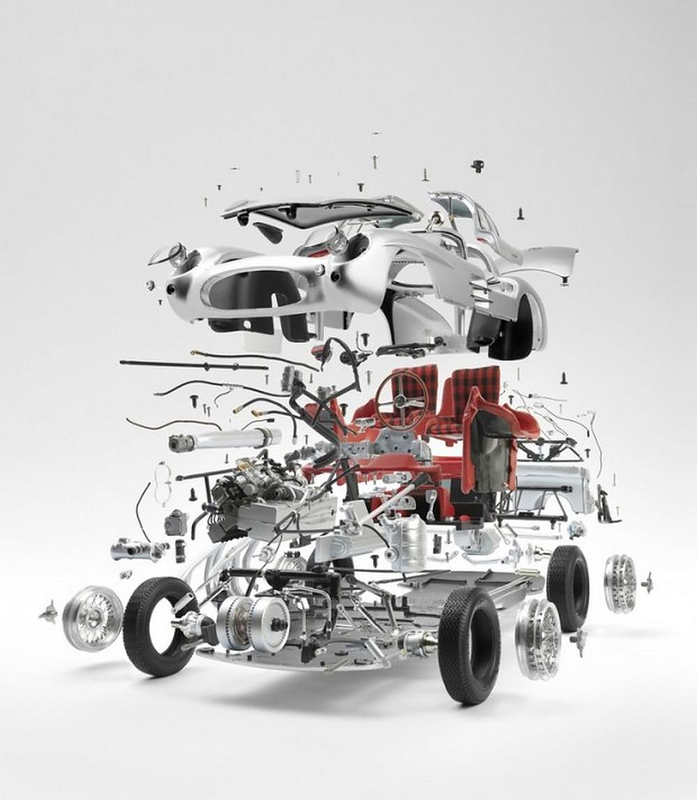 It plays on the idea of cars being born and Oefner presents his interpretation of the birth of a car. 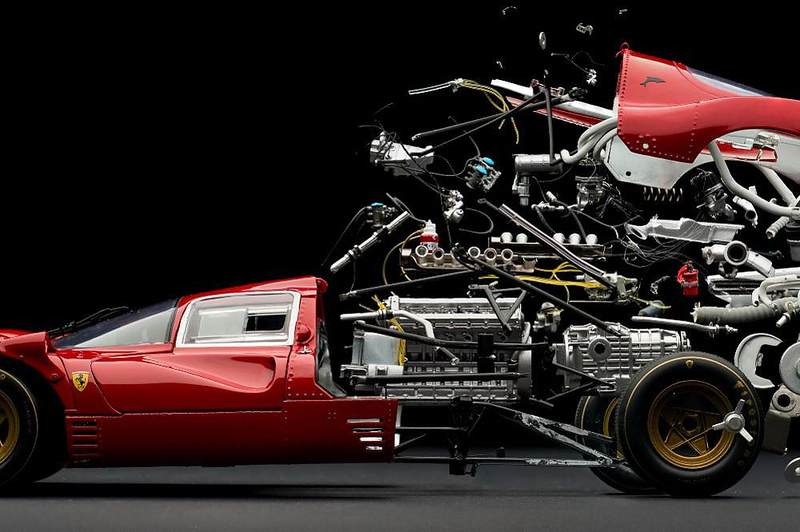 The artist is essentially reproducing the oviparity found in nature as a super-sleek automobile birthing from a shell. 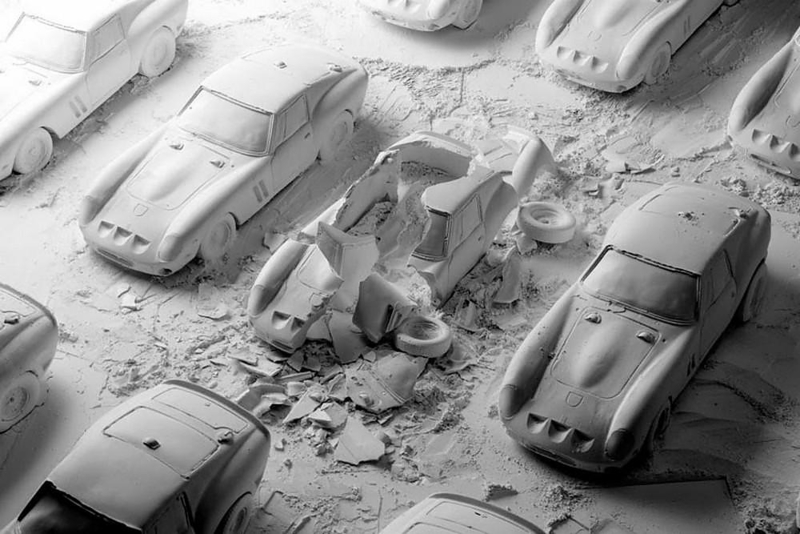 For Hatch, Oefner begins by making latex molds from the model car, and then he fills it with a thin layer of gypsum to create a plaster mold of the car. 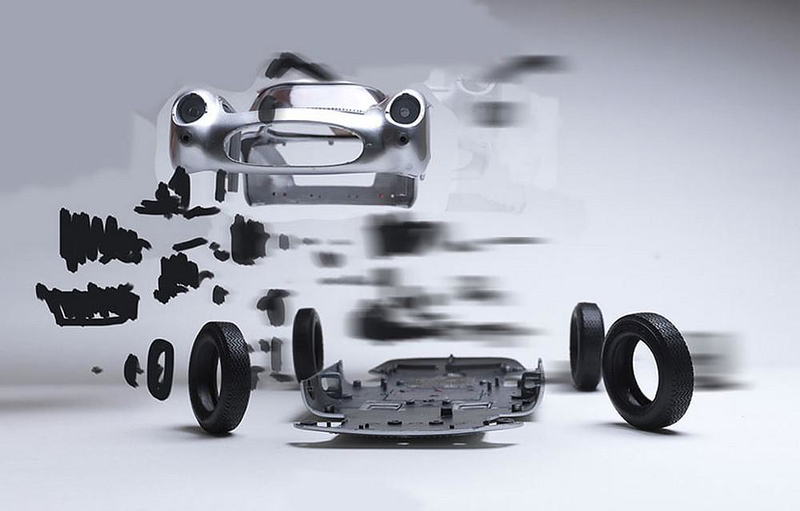 The next step involves destruction, smashing the shell onto the car to create the illusion of the vehicle emerging out from it. 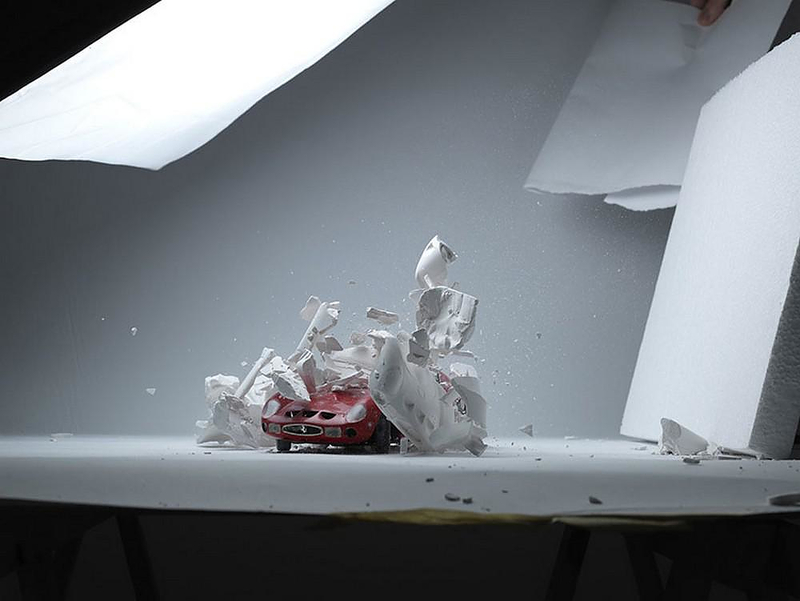 The moment of shattering is captured by the camera via a sound-activated trigger. 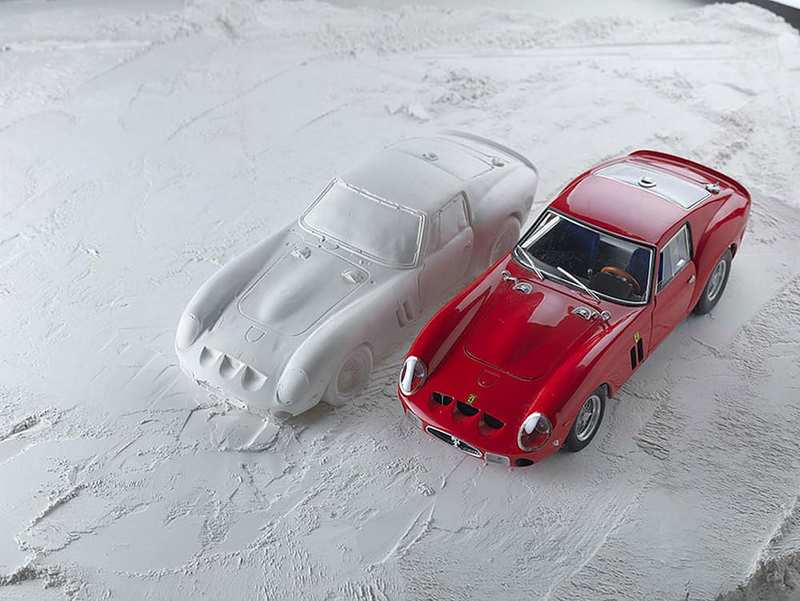 For this study, he used a Ferrari 250 GTO, which becomes almost a living, breathing organism, emerging into life. Oefner says he went through hundreds of shells while trying to get the right shot. “My projects are never easy to capture on the first try, I might look like a normal guy, but I’m pretty crazy when it comes to realizing my projects” he says.